Fleecs Design: Amazing Arizona! 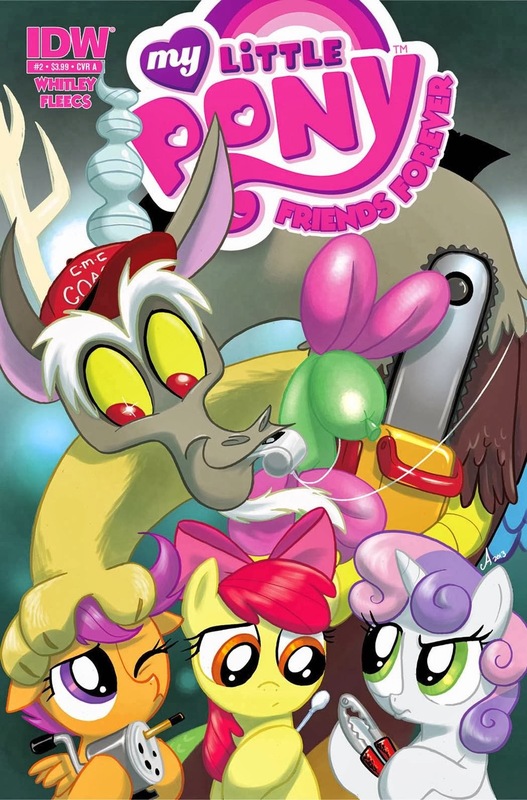 My Little Pony Friends Forever #2! East Bay Comic Con! Sac Con! Amazing Arizona! My Little Pony Friends Forever #2! East Bay Comic Con! Sac Con! Quick one today I've gotta post this and then draw some commissions before we head out to Arizona in a few hours for the my first convention of 2014! Hope you guys are having a good 2014 so far. I've been way productive. Tomorrow!! Super excited to head back to Amazing Arizona. One of my favorite shows (I met my fiancé at this show 2 years ago! Also met Chew's John Layman but that show but didn't get engaged to him.) Anyway, I'm gonna be sketching it up and selling prints and comics and sketchbooks. If you're in the area, come on out and see me. The Amazing Arizona Comic Con Returns to Phoenix for 2014! “Tickets for the 2014 AMAZING ARIZONA COMIC CON are now ON SALE through the Phoenix Convention Center Box Office. We have a variety of ticket options for our awesome fans, making the convention affordable and fun for the whole family! If you're not in the area, keep an eye on my twitter for a look at the sketches. MY LITTLE PONY FRIENDS FOREVER #2!! This one's all done and off at the printer, kids. I'm super psyched about it. It's written by Jeremy Whitley (who I love. He writes Princeless.) Edits by the great Bobby Curnow and color flats by Lauren Perry (who now get's credit in the book in addition to the extravagant rate I pay her.) Covers by Amy Mebberson (my favorite Pony Artist, I think) and Lea Hernandez (her first Pony work and it's so awesome!) A team of awesome people and I think it's my best issue so far. Spoilers: It has Robo-Ponies, y'all. 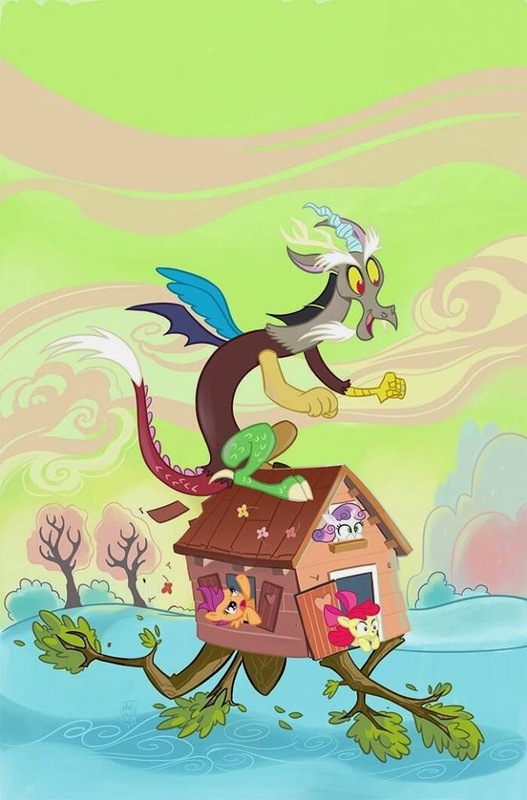 The first comic story featuring fan-favorite character DISCORD! Variant Cover by Tony Fleecs! It'll be out sometime in February-- More concrete info as soon as I know. Oh Crap! I forgot to update this. I've got a conflict and can't make it to the show this weekend. I'll still be at Sac-C0n in 2 weeks though. Sorry everybody. First Ever East Bay Comic-Con! My buddy Steve's putting on this show, he's the guy behind Bakersfield Con and Big Wow Comic Fest so you know it's gonna be quality. Deep in the heart of Concord, CA! Me and Tone Rodriguez and a whole mess of other folks. Come see us! East Bay's Newest Orignal Comic Book Show! I haven't been to this show in years. Excited to see all my Sacramento peeps. I'm headed up there with my pal, simpsons and Futurama artist Tone Rodriguez. We're doing a signing the day before at.. I think, World's Best Comics. more info on that when I have it. 2014 is gonna be awesome. Hope to have you guys along for the ride.